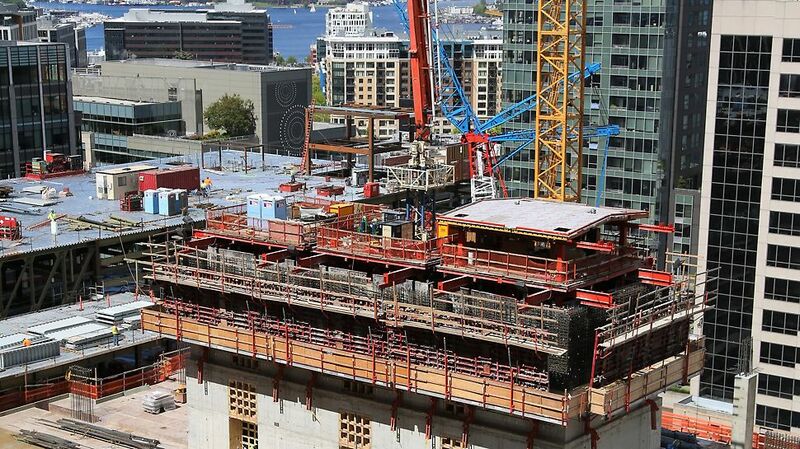 Soon to take its place as the tallest hotel in Seattle, the 46-story 8th & Howell Hotel (or Hyatt Regency Seattle) will offer more than 1,200 luxury rooms in close proximity to the Washington State Convention Center. Its seven-level podium will feature high-end meeting rooms as well as banquet and ballroom space, with retail and restaurants at street level and underground parking. 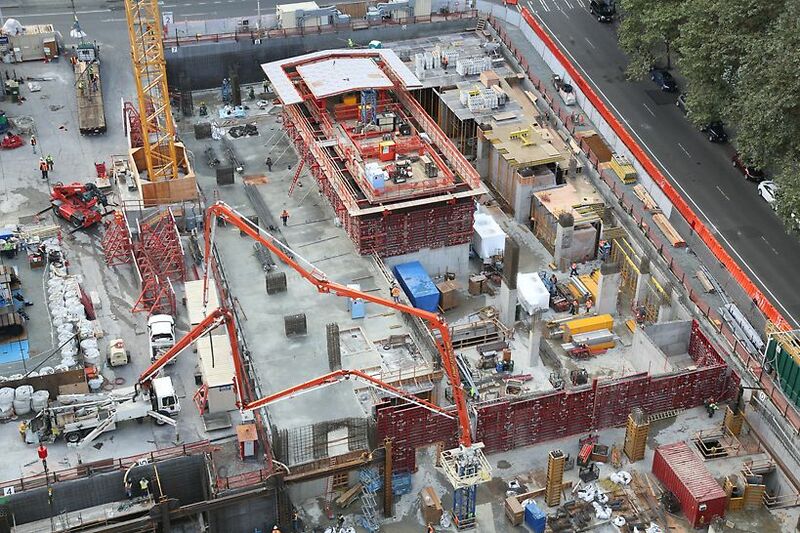 The contractor used three PERI ACS Core 400 automatic climbing systems with PERI’s MAXIMO Formwork to place the thick walls of the 36-ft by 90-ft core, which consists of three cells. PERI MAXIMO Formwork was also used on the perimeter walls with SB Brace Frames on the podium levels and the PERI RCS-P Rail Climbing System on the tower. 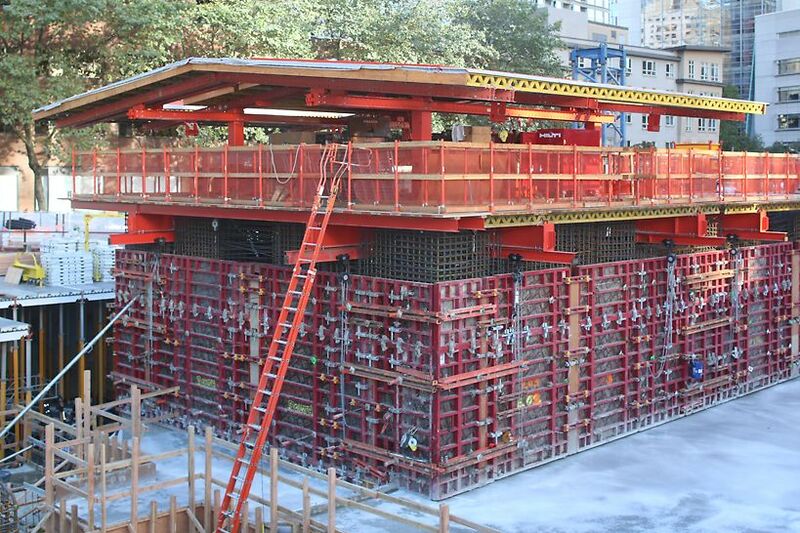 More than 70,000 ft2 of PERI SKYDECK Formwork with MULTIPROP legs was used to form elevated decks. 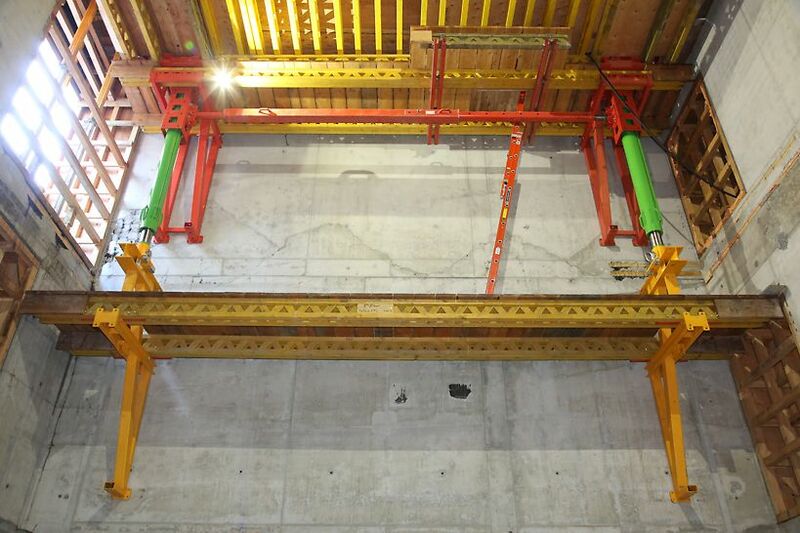 PERI engineers designed a roof structure out of VARIOKIT components that is keeping the elevator shafts dry during installation immediately beneath the forming operation, allowing an early start on elevator installation. Hydraulic flaps installed on the VARIOKIT roof directly over the walls allow placement of pre-tied rebar cages in the formwork. Decks for one level below ground and the ground level were designed to eliminate form savers by casting the lobby slabs along with the main slabs. Perimeter walls were formed with PERI MAXIMO Formwork and SB Brace Frames. 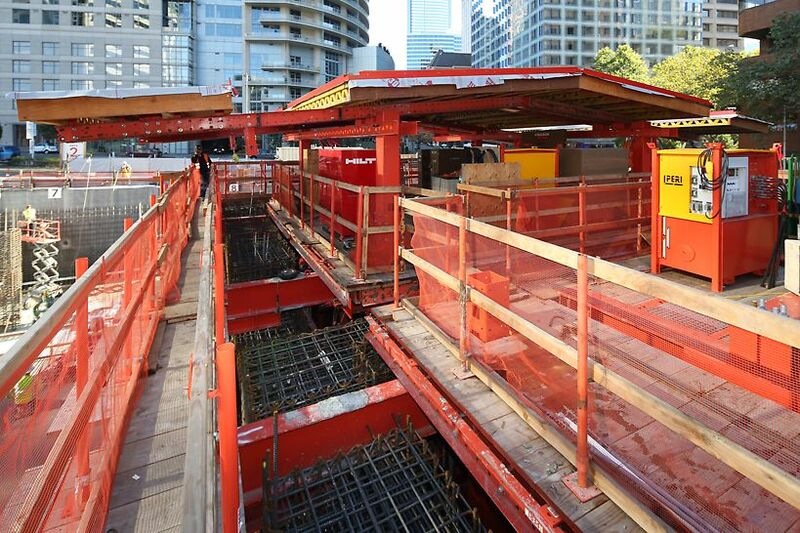 PERI SKYDECK formwork with MULTIPROP legs is being used to form elevated decks. Construction of the tower perimeter was done using RCS-P Rail Climbing System. PERI engineers designed a roof structure on top of the climber to keep elevator shafts dry during construction, enabling elevator installation immediately beneath the forming operation thus accelerating construction by nearly a year.